An often overlooked question for students embarking on studying within the International Relations field (or any other for that matter), and whether it be undergraduate or postgraduate level, is what next? If you have good enough grades progressing into further study is an option well catered for in both potential and advice. Government jobs throw up a plethora of graduate program possibilities also. But what if the area you envisage yourself working in is that which straddles the two, the policy world of International policy think-tanks? What follows is a response to a question posed by Amanda Murdie to her former PhD student, Kate Kidder, a research associate at the Center for a New American Security, asking for some advice for an undergrad wanting to get into the policy world. Originally featuring as a blog post at the Duck of Minerva, the advice has been reproduced here below with Kate’s kind permission. I’m advising a really wonderful undergrad who would like a career like you have. Could you give her some advice as to how to break in to the security policy community? I think she is really interested in trade-offs between law school, PhD programs, and MA programs. A) you don’t just interview for an internship; your whole internship is an interview (a lot of people make the mistake of becoming poor team players as soon as they’ve “secured” an internship, which is a bad move. While internships aren’t exactly paid in cash, they are paid in networks, and those networks are worth more than money.). B) Recognize that the foreign policy and Defense communities are really tiny, and then refer back to point #1. Recognize the confluence of three things: tiny community+tinier points of entry+bad economy= the majority of interns are essentially overqualified. The key is not to act like it (I know, it seems fairly intuitive, but you would be surprised). Also, don’t let it get you down. It’s worth it. (There should be an “it gets better” campaign for interns). C) All interns in this city are smart. Really. All of them. So there is a lot of competition about “who’s smarter than who” or “who produces more.” A little secret: one of the ways to get ahead is to take some of that energy and just be kind and helpful. Cleaning coffee mugs with a good attitude gets you noticed. Then people realize you are smart and read your stuff. 1) First things first: Go with your passion. It will all work itself out in the end. If you are more passionate about the law, go that way. If that is your path, recognize that a law degree opens a lot of doors- and a lot of lawyers in this town don’t actually practice law (and prefer it that way!). Just think, Samantha Power never took the bar. If grad school in a specific program is more up your alley, go that route. 2) In all reality, you don’t need a Ph.D at this town at first- though an M.A. is a near-must. I’m fortunate to work in a think tank that runs like a start-up and thus is willing to be flexible- I kind of threw a wrench in the existing system by being a doctoral candidate at 29. The people who need Ph.Ds are at the fellow level- and these are people who also have about a decade of government experience. Coming in with a Ph.D and no government experience means you price yourself out of the Research Associate market without the value added of experience. 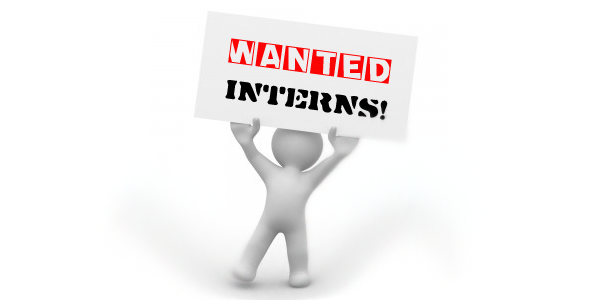 But I’ve also seen that internships-turned-jobs tend to go to the interns who started with a masters. If you start the job with a masters and really want a Ph.D., work there for a few years and then pursue the Ph.D portion- and there’s a likely chance that your employer will pitch in. Alternatively, with a few years of work experience, even if you opt completely out of the workforce to pursue your Ph.D, you still have something on your resume. Whichever way you go with grad school/law school/experience, start to carve out your own voice. Have a “thing” that you want to claim as your little slice of expertise. The strange thing about this town is that what you claim to be an expert on, your are perceived to be an expert on until proven otherwise (which can be a really good thing or a dangerously bad thing!) Read up on it- academically, in the news, on blogs, in its industry. Sign up for Google news alerts on it. Figure out who the players are, what the arguments are, etc. (For me, it’s defense personnel policy). The policy world needs people who are simultaneously flexible enough and educated enough on research methods that they can research any topic thrown their way, while also offering their unique perspective on a very specific topic. Amanda Murdie is an assistant professor of Political Science at the University of Missouri. Kate Kidder is a Research Associate at the Center for a New American Security in Washington DC, USA. This post originally appeared on the Duck of Minerva. This entry was posted in Uncategorized and tagged advice for students and graduates, International Policy Internships, Internship advice, internships, Kate Kidder by bwrholliss. Bookmark the permalink. Key advice. I wish to complete my PhD and go into policy work. I’m 29 and should get my PhD in a few years (5, probably). I will follow these steps closely. Thanks.